Valentine’s Day is around the corner! 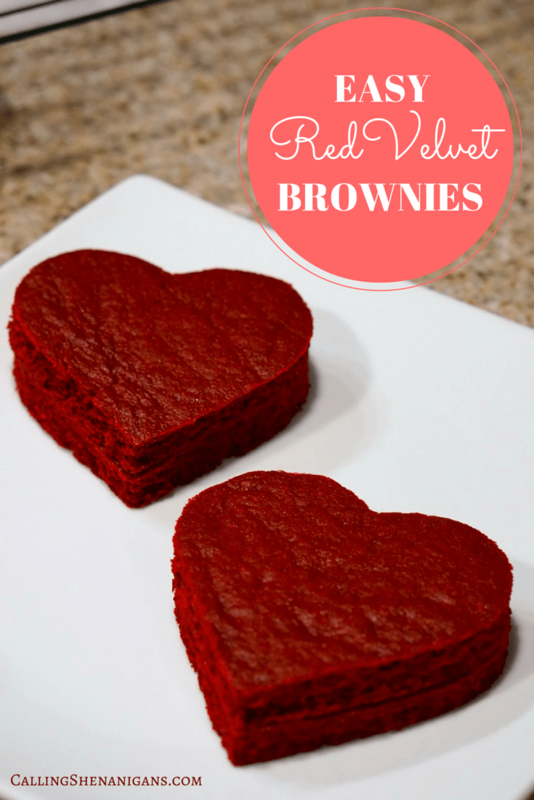 I always pin a bunch of amazing Valentine’s Day Recipes that I want to try, but time always seems to slip away too fast to make everything that I have planned. This year I decided to start a month early! 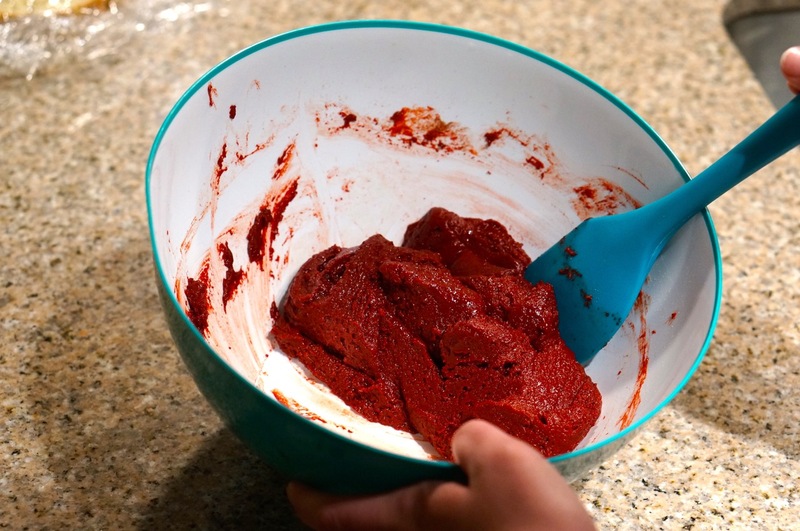 The first thing on my list was to make Red Velvet Brownies (YUMMM), but every recipe that I came across had a minimum of 10 ingredients. Although I’m sure those recipes are delicious, I wanted to find a quick alternative. After a little bit of researching, I found out that you can adapt cake mixes to make them into brownies. 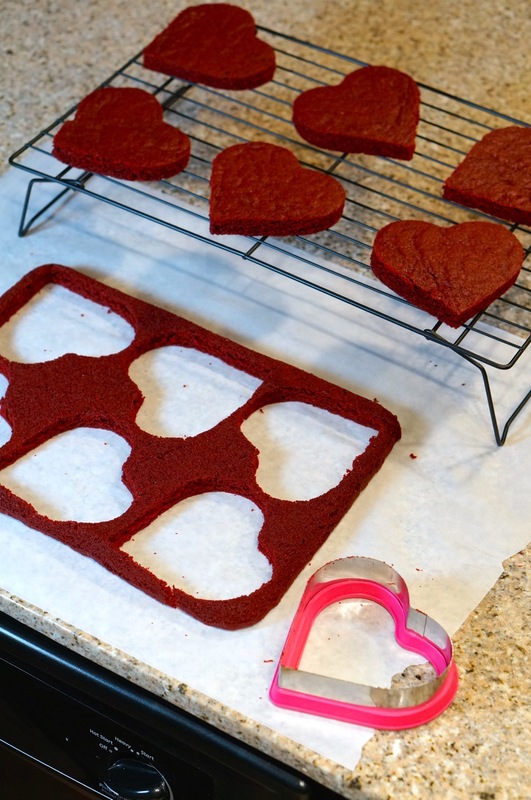 I knew this was the perfect Valentine’s Day Shenanigan – turning red velvet cake mix into adorable heart shaped brownies! 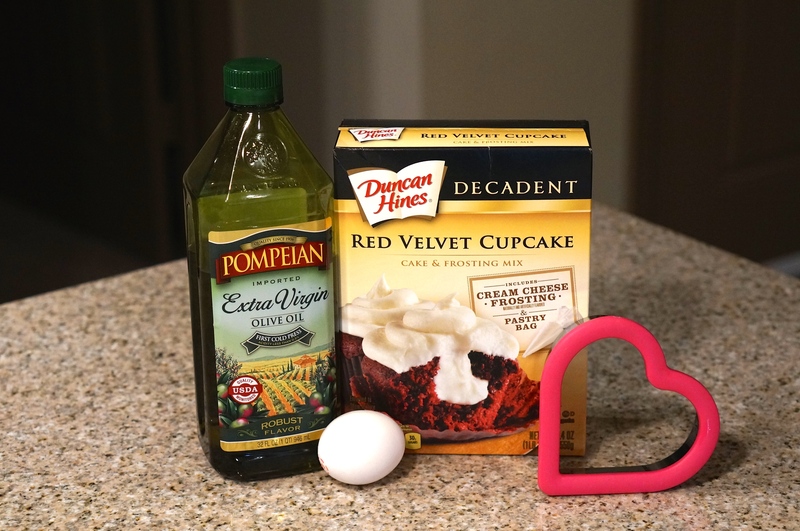 1) Mix red velvet cake mix, egg, 1/2 cup of oil, and 1/3 cup of water. It will be a thick consistency. 2) Grease your pan. I spread the batter into a 9 x 13” pan and baked at 350 degrees for about 15 minutes (I used a large pan because I wanted to make thin brownies so I could make them into heart shapes) . If you use a smaller pan, you may need to bake for a little longer. Make sure that you do not over cook them or they will turn a little spongy. 3) Remove from oven and place onto plate or parchment paper. 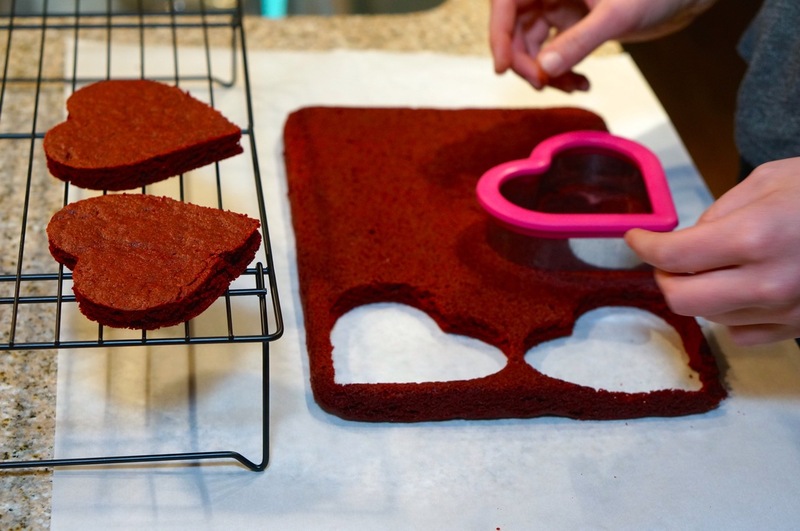 Then use your cookie cutter to make your brownies into hearts. 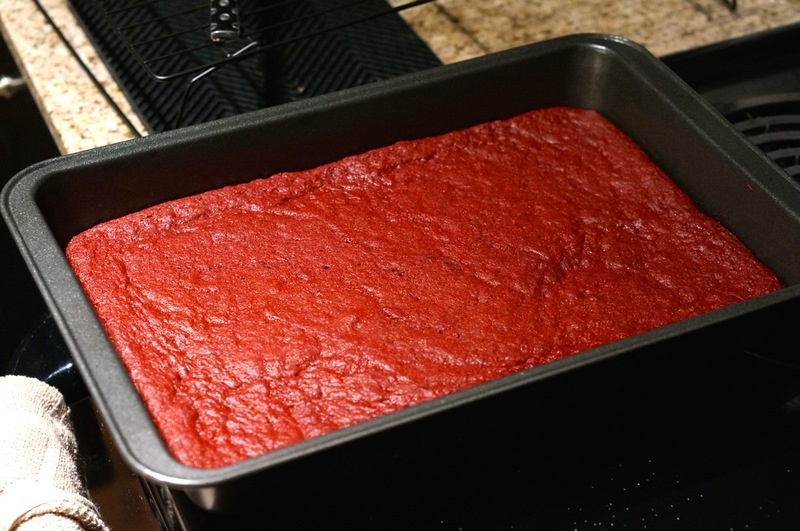 You are all done with your cake mix red velvet brownies! I was very surprised that it actually worked– they definitely had a more brownie-like consistency when compared to a traditional cake. 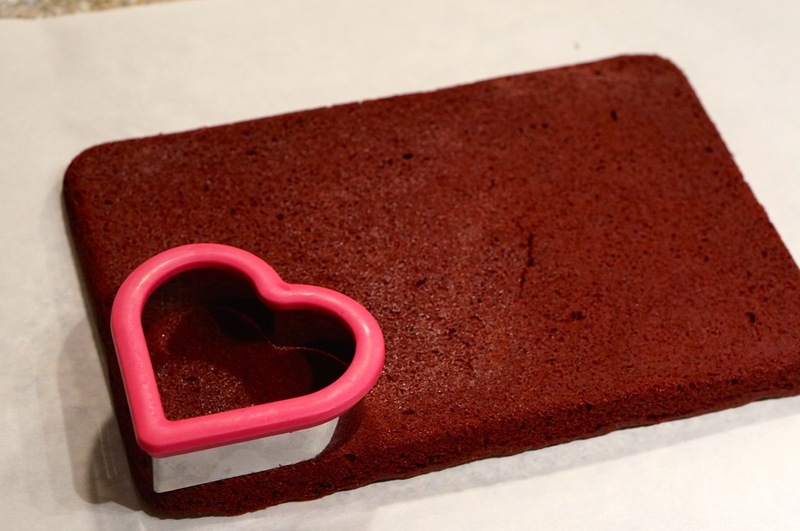 If you want to add icing, or if you use the same cake mix that I used (that comes with icing), you can add a layer of icing in between two brownies to add to the sweetness. 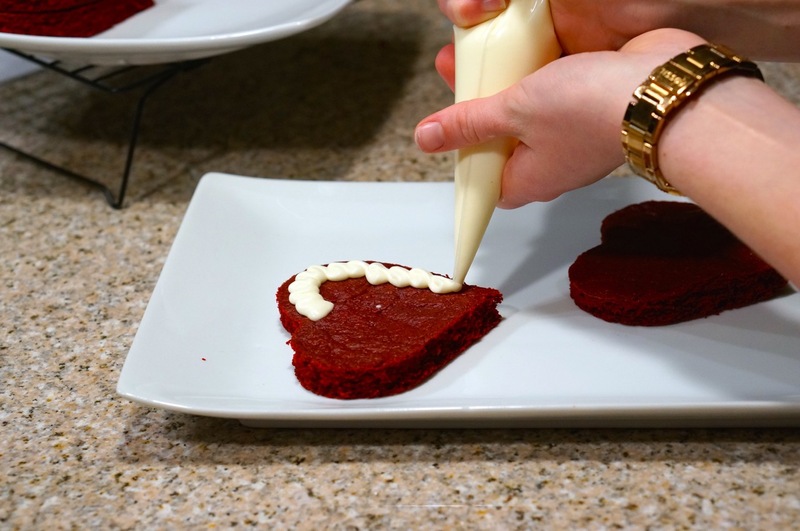 Be sure to comment below or on my Facebook page with any Valentine’s Day Shenanigans that you want me to try, and keep checking back for more Valentine’s Day projects or subscribe to receive my weekly projects by email. These look delicious! I was wondering what to bake come Valentine’s Day.. I may just give these a go! Just a really quick question because I really want to make these! In the list of ingredients you say to use 1/2 cup of vegetable oil, but then in step 1 you say to mix only a 1/4 cup of the vegetable oil. Just wanted to get a clarification on how much oil to use before I attempt to make them! 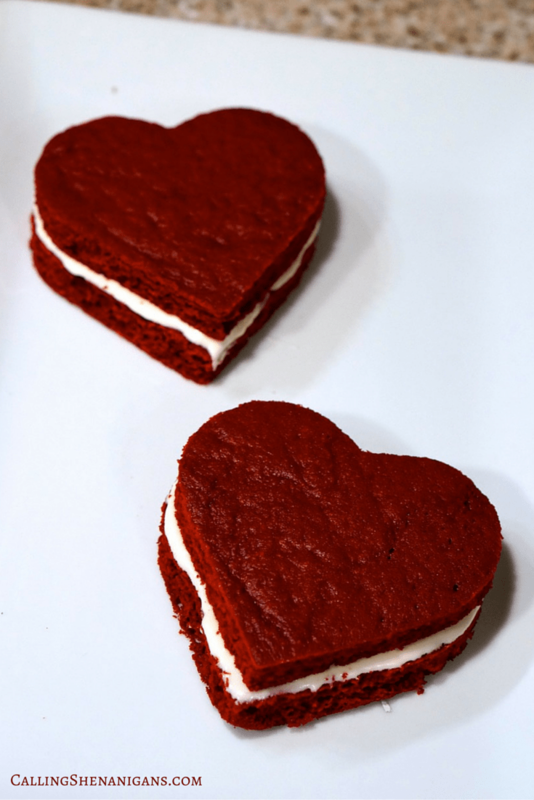 oh so yummy Valentine treat. I’m so glad that this recipe works because it looks absolutely delicious. Just in time for Valentine’s Day too!